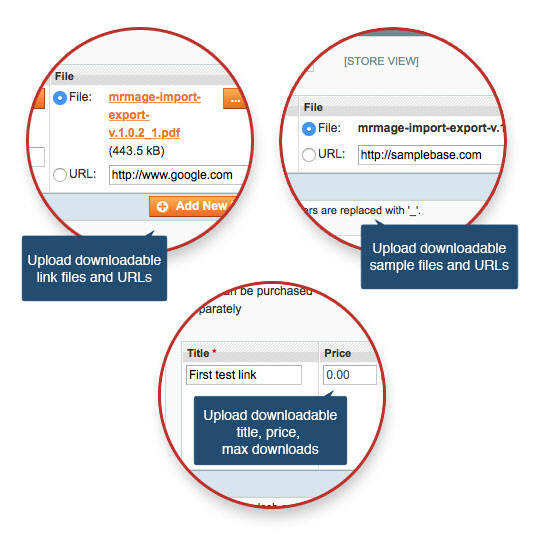 If you need bulk product upload in Magento, this extension is the best what you are looking for. Unfortunately, Magento doesn't provide a solution to import complex products like configurable, bundle, group, downloadable links/samples. Here the main idea of the extension comes to add possibility importing of following product types and other product features like custom options, tier prices, group prices, related products, cross-sell/upsell relations. 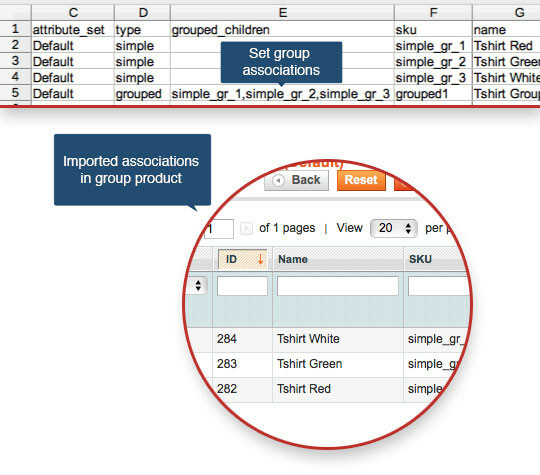 As well as import the extension provides export in the same product format. 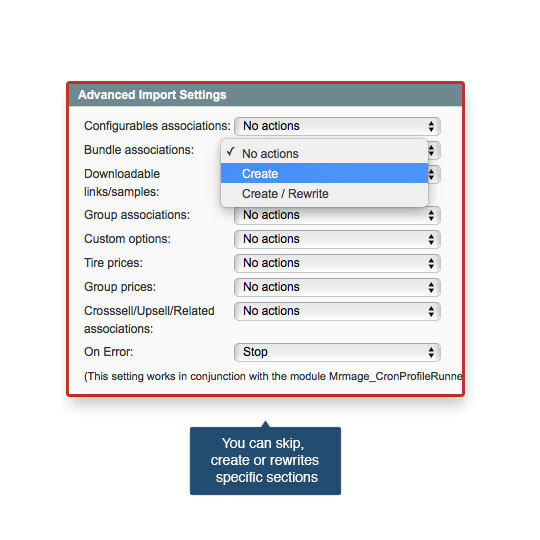 So that means that you can export from Magento (in CSV or XML) and then import into another Magento installation. 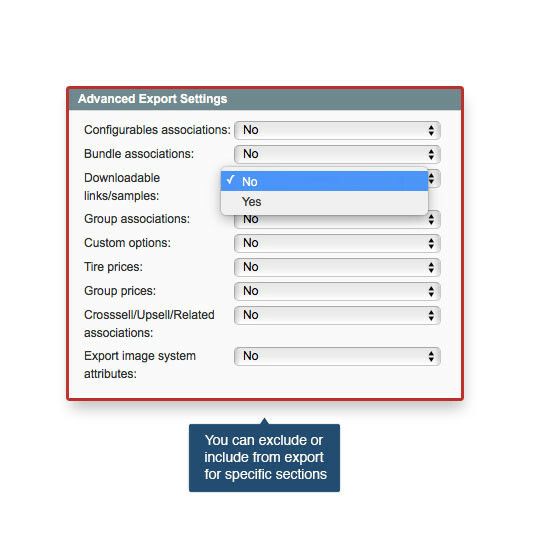 Of course, the extension is able to export all that possible to be imported that we mentioned before. 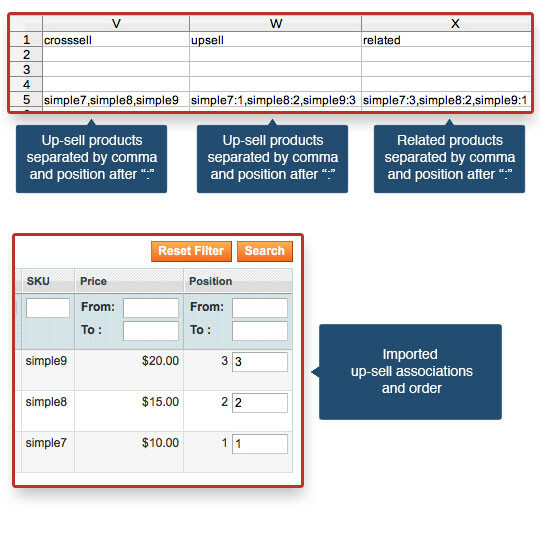 Specifically, it allows exporting following product types configurable, bundle, group, downloadable links/samples and other product entities like cross-sell/upsell relations, related products, group prices, custom options, tier prices. 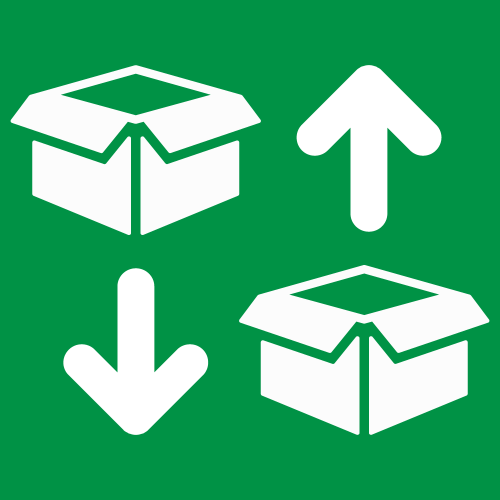 We take care of our clients and know the main issue that could happen when exporting a huge amount of products, simply default Magento export is able to stack due to a server timeout. 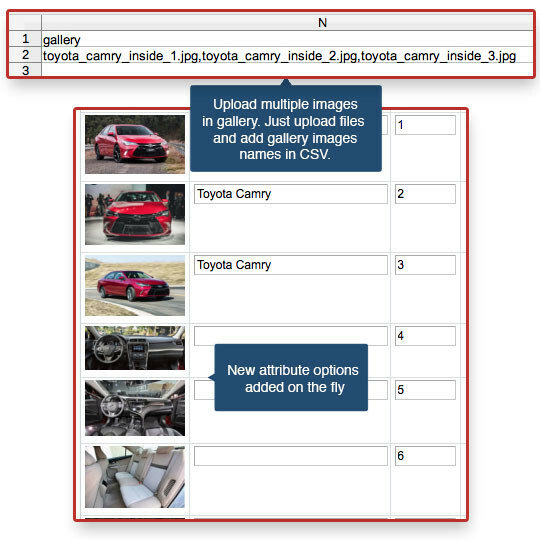 We solved this issue in conjunction with Cron Import/Export Profile Runner. Within it is possible to bulk export by cron or by SSH script from command shell. 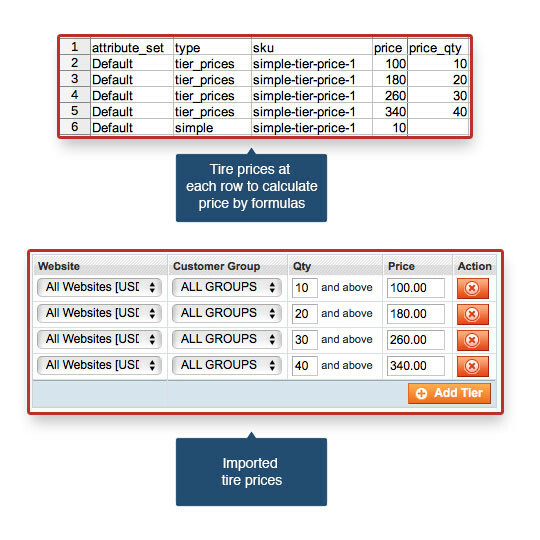 Import/export tier prices, group prices perform in separated rows of CSV and XML files, that’s good for sheets where prices are calculated by formulas. 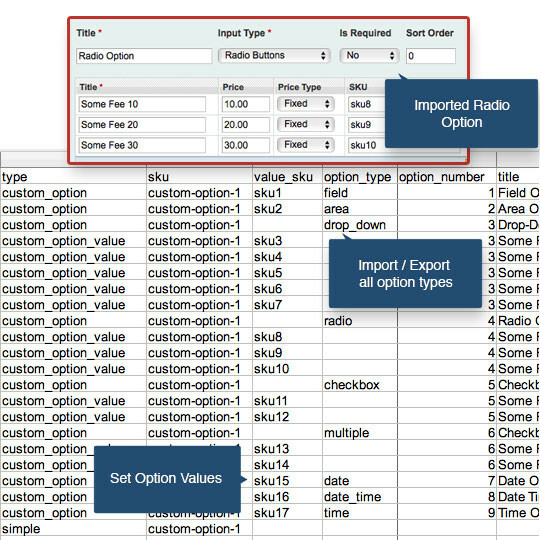 Advanced settings of import and export product types. 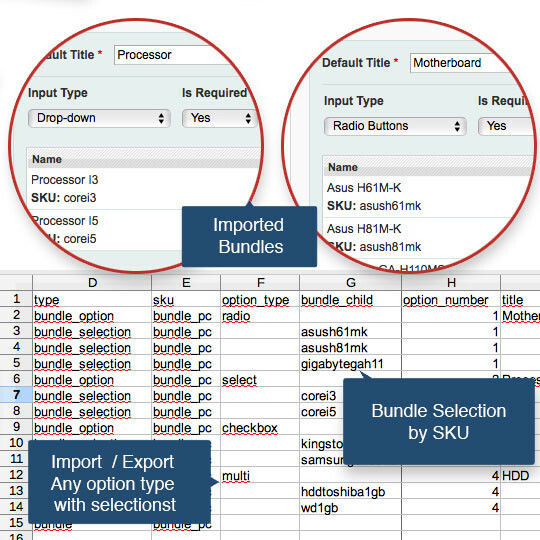 You can specify any selection with bundle simple SKU and set its position in option. 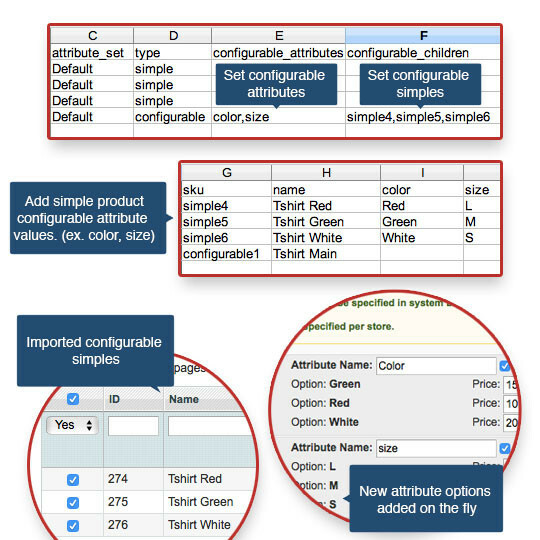 +Fixed bug that was related to a missed attribute set info while importing configurable products. +Fixed bug related to attribute option uppercase. +Support conjunction with Cron Profile Runner extension. 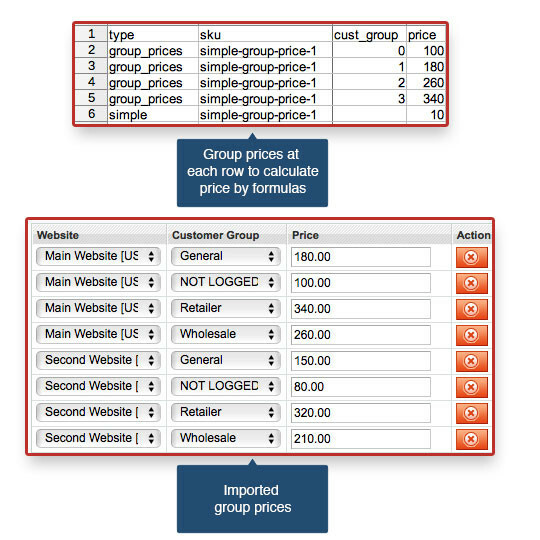 +AJAX bug issue when importing complex products bundles, custom options, tire prices, group prices.